Renowned archeologist Louise Cantor begins to suspect foul play in the suspicious suicide of her 27-year-old son Henrik, and seeks the assistance of her estranged ex-husband Aron in proving that Henrik was murdered. Their investigation soon leads them to Cape Town. Louise and Aron learn that Henrik was writing an article exposing a significant scandal at the time of his death, and that he may have been harboring a secret identity. 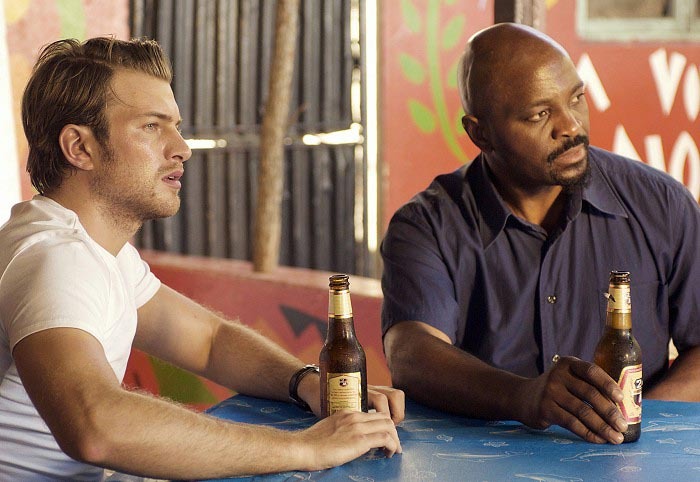 Later, at a clinic in Africa, Louise finally discovers the identity of her son's killers. Unfortunately, they know her identity too, and now, in order to see that justice is served, Louise must fight to survive. Filmed from January to April 2009. 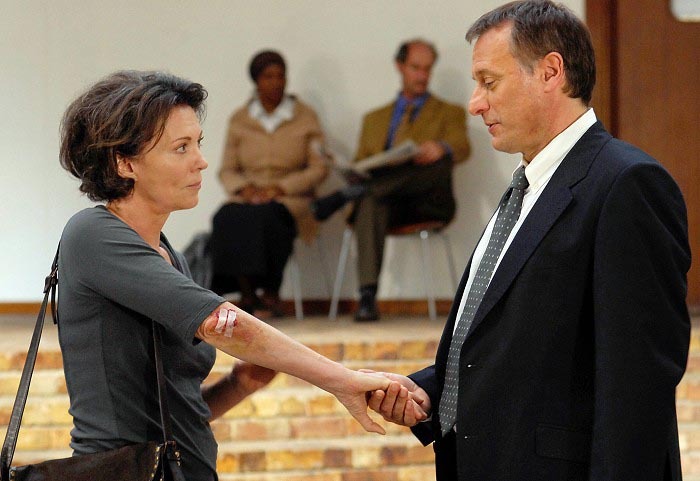 Locations included Germany, Sweden, South Africa and Mozambique. Bavaria Pictures partnered with Swedish production house Yellow Bird to bring best-selling author Henning Mankell's Kennedy's Brain to the small screen with an international cast. 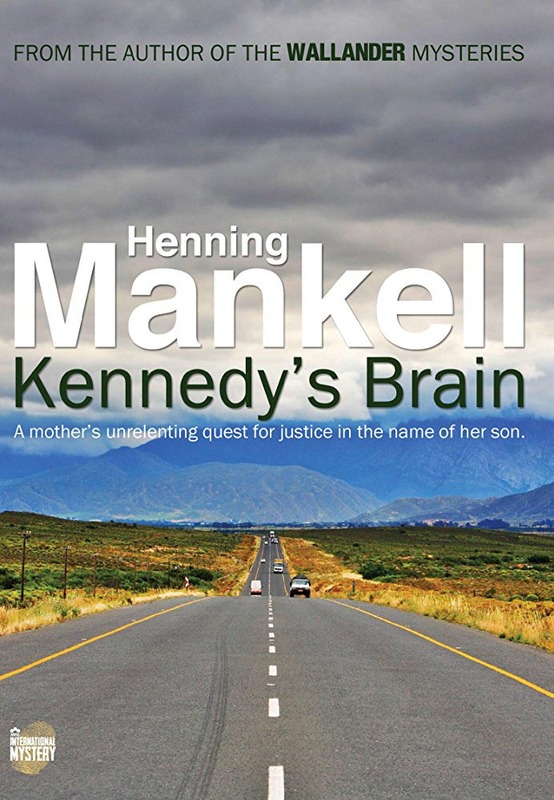 "We were approached by Yellow Bird when they were looking for a German partner to help produce Kennedy's Brain and other books by Mankell," producer Ronald Muehlfellner recalls. Bavaria's proposal of Urs Egger as director found favor with Mankell since the Swiss-born filmmaker had made an award-winning mini-series of the author's 2000 book The Return of the Dancing Master in 2003, which had impressed the Swedish writer. Since Mankell has practically a co-producer status in adaptations of his works and has a say on the screenplay and key casting decisions, he invited Egger and Muehlfellner to travel with him to Mozambique to undertake first-hand field research. 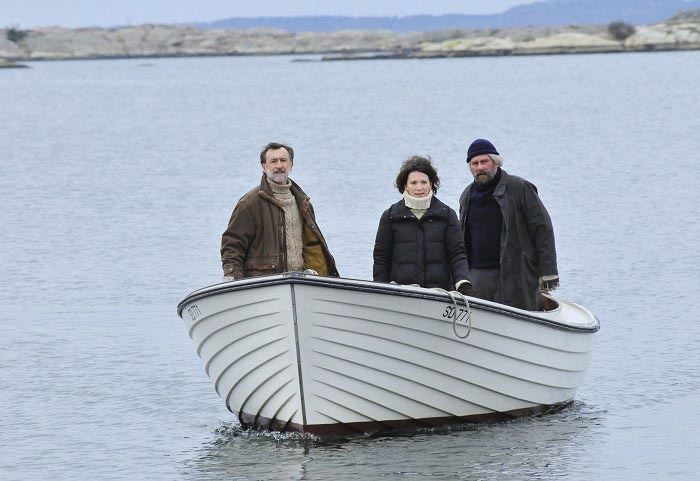 Producer Muehlfellner: "From Sweden, we have the wonderful, charismatic actor Michael Nyqvist and the great Rolf Lassgard, who is our little 'nod' to Mankell's Wallander series. With the Norwegian actor Bjoern Floberg, we found the perfect match for the character of Inspector Vrede. Iris Berben, who has been recently seen in Bavaria Film's cinema production Buddenbrooks, was the ideal choice to play the central figure of Louise Cantor. One of the biggest challenges on this production was to translate this particular story from the written page to the screen. 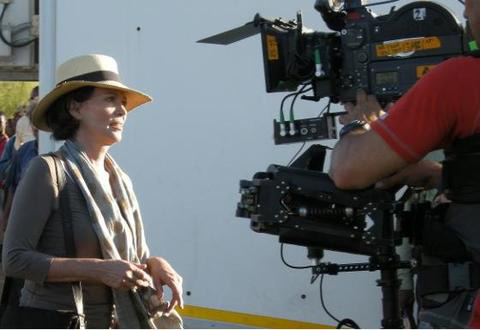 In addition, we had to organize the logistics and financing for a production at so many locations lasting for over three months, beginning with the studios at Bavaria Film in Munich and then traveling to Sweden, South Africa and Mozambique." The title refers to a conspiracy theory: The brain of US President John F. Kennedy, shot dead in Dallas on November 22, 1963, was apparently not buried with the corpse but lifted. In 1966, it was handed over to the National Archives in Washington, DC, together with photographs and radiographs. In the following year the material disappeared.